Giving you some ideas of a few things on my Mama's Day wish list for any of you last minute shoppers! I am on a man hunt for the floral stripped jacket from Zara to wear for the big day ... wish me luck. I didn't even know there are FIVE within driving! YAY! That would be enough for Mother's Day :) actually all I want is all the love and hugs from my little baby babes and at least ONE good picture ha ha of the three of us! I always have things sitting in my shopping carts online and the two faux palm leaf branches is on of them from West Elm and it already has a spot in our house. Love anything tropical and that totally works! I think every single Mama out there needs that book of Life Hacks so we can feel like total rockstars when you make a healthy breakfast in the crockpot ... totally scrolled through it and it'll make a perfect gift for any Mama! Platforms are the it shoe this season and I cannot blame them! I am literally dying over these ones and the price so I guess that's why they are on my wishlist ;) eek! I am getting bored with one of my favorite sunnies and need a little change for summer and these ones are perfect. Adie graduated this week from preschool and I am so glad I don't have to pack any lunches! Chick-fil-A nuggets made it in her last lunch with ranch! All I am saying. Loving the beaded earrings and these ones are pink and totally affordable which is perfect for everyone! These ones are just as perfect. I have a vision for the space in our house that is currently empty, freshly mopped with a fireplace that needs remolded ... and the flamingo sitting on this desk is part of it!!!! Last, that amazing jacket that I need :) ha! I love the embroidery and the bell sleeves! Seriously this seasons fashion is to die for and want to stop time so I can wear every piece. You can see some of my current cravings here and a little Spring shopping here. All else fails ... chocolates will win my heart! 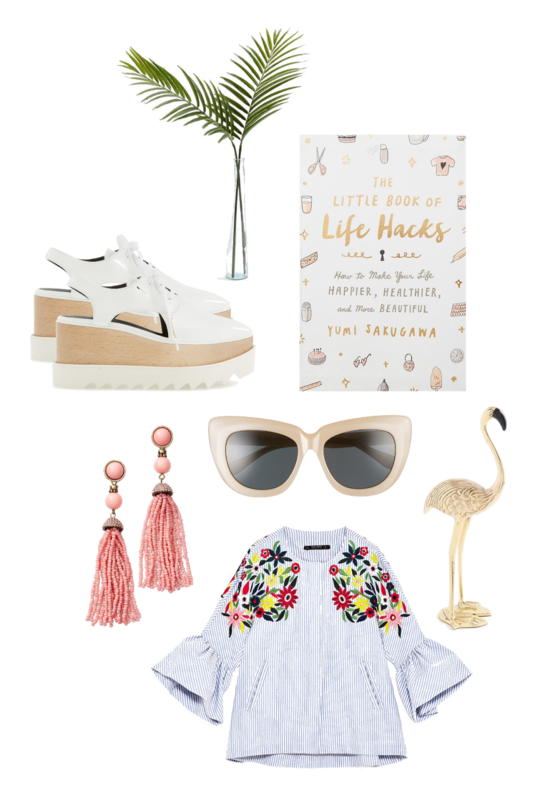 palm leaves | life hacks | platforms | sunglasses | earrings | flamingo in gold | best jack ever! 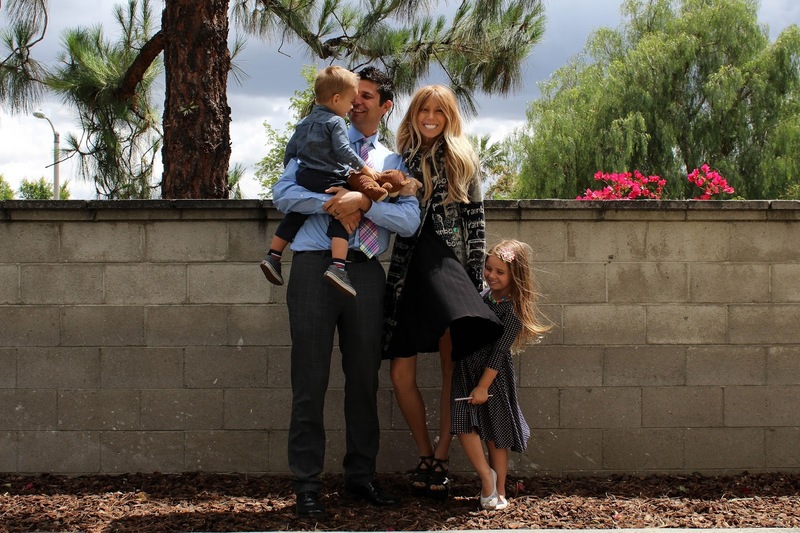 Hoping you Mama's get spoiled and get lots of squishy hugs and chocolate kisses! -XO!